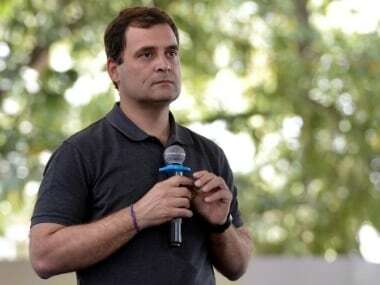 In his press conference on 25 March 2019, Rahul Gandhi stated that Congress has decided on a ‘minimum income line’ of Rs 12,000 per month, and the amount that it will provide under the NYAY scheme will help families reach this minimum income line. However, there is no rationale or basis given for fixing this new ‘poverty line’, a concept which India no longer follows for identifying beneficiaries of schemes. More importantly, even Congress’ NYAY scheme cannot ensure a ‘minimum income’ of Rs 12,000 every month. According to the provisional data of the Socio-Economic Caste Census (SECC) which was conducted in 2011, there are about 13.4 crore rural households in which the main earning member of the family made less than Rs 5,000 per month. Even if only 5 crore of these households were to get an amount of Rs 6,000 every month, their monthly income will still not reach the so-called ‘minimum income line’ of Rs 12,000. These are just the figures for rural areas -- the scheme is ambitious enough to want to identify the poor from urban areas as well. Who are the ‘20 percent poorest’ families of the country, and what is so special about them? In a country which does not have any data about the income of its population, the biggest question about this scheme is the identification of its beneficiaries -- how will Congress identify the ‘poorest 20 percent’ families of India? Even using poverty as a criterion comes with its own set of problems. Does India have any criteria to identify someone as being ‘poor’? How many ‘poor’ families are there in India? 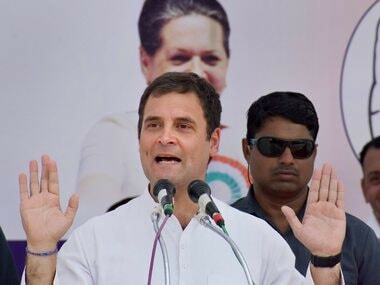 From where did Congress conjure the number of 5 crore families being equal to 20 percent of India’s poorest families? Does this mean that the ‘poorest’ families in India amount to a total of 25 crore families? Yet, Congress has come up with the magical number of 25 crore, which makes the scheme strangely discriminatory in its approach. Why should the remaining poor people, other than the 25 crore, not be entitled to this benefit? One must remember that in any scheme in our country, there is bound to be a shortfall in the number of beneficiaries who are the intended target of the scheme. This scheme hinges on the success of the Pradhan Mantri Jan Dhan Yojana, as the amount is to be transferred to the bank account of a woman of the family, which is supposed to be some sort of spin on financial empowerment for women. But this is based on the presumption that the ‘poorest 20 percent’ families of India will be having a bank account. If Congress targets only 20 percent of the poor, will its scheme be able to even benefit all of them? Does covering less than 20 percent of the country’s poor amount to an ‘assault on poverty’? With every passing announcement that the Congress makes about the scheme, it makes its unconditional promise of transferring Rs 72,000 to every account even more conditional, adding new riders every time. 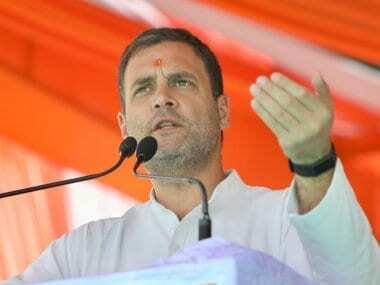 In Congress’ first press conference on this scheme, Rahul said that the government will essentially match a family’s existing income to the minimum guaranteed income of Rs 12,000 per month, by giving a ‘top-up’ for the remaining gap. 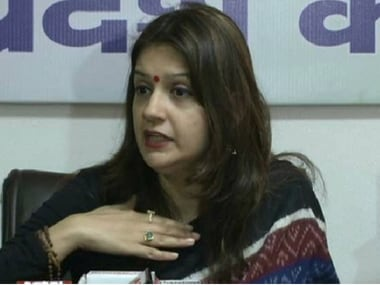 However, Congress spokesperson Randeep Surjewala emphatically clarified in his press conference on 26 March 2019, that this is not going to be a top-up scheme, and every family will get Rs 72,000 every year. The Congress itself is not too clear on the modalities of the scheme. While discussing the scheme, former Union finance minister P Chidambaram, who is supposed to be one of the main thinkers behind this scheme, said that the scheme will be implemented in ‘phases’, after an initial ‘pilot scheme’ is implemented. He even said that an ‘expert committee’ will be consulted at every stage of the scheme. Can such a promise be made to the country’s poor, if it’s yet to undergo a pilot test? What if the scheme is found to be unviable after its pilot test? 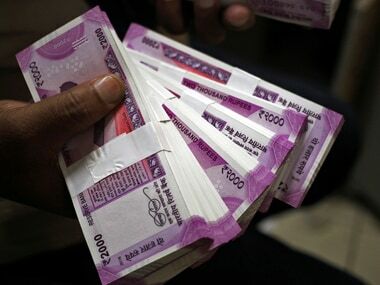 From increasing the fiscal deficit from the current 3.5 percent to anywhere between 5.1 percent to 6.8 percent, and to eating up almost 13 percent of the estimated budget for next year, there is no doubt that the scheme will wreak havoc upon India’s economy. The Congress has also insisted repeatedly that they will not touch any other subsidy or welfare scheme to implement their NYAY scheme. Chidambaram has even gone to the extent of saying that India’s ‘growing GDP and tax collections’ will ensure that this scheme is implementable. This comes at a time when Congress has repeatedly slammed BJP for not implementing GST properly, and for bringing about a fall in the GDP growth rate of the country. On the other hand, the BJP seems to have already played a better hand with the PM-KISAN scheme. Under the scheme, the government has claimed that about 4.74 crore farmers will receive two of the promised three installments of Rs 2,000 before the end of March 2019. This means that BJP would have transferred Rs 4,000 to the accounts of 4.74 crore farmers before the elections -- an achievement not very far from Congress’ mere promise of transferring Rs 6,000 every month to the accounts of 5 crore families. The author is a lawyer and ex-LAMP fellow.